WPH Race 4 Eight #1 Luis Moreno and WPH Race 4 Eight former #1Sean Lenning squared off in the special Tuesday night primetime WPH No Frills pro singles final. Moreno narrowly escaped his semifinal battle with David Fink, while Lenning cruised to the final with a dominating victory over Abraham Montijo. Moreno and Lenning had split their last two tournament encounters heading into the No Frills final, with Lenning rallying from match point down in the second game at Plummer’s pre-Race event in October to win a close tiebreaker, and Moreno winning two close games two weeks later at the Fred Lewis Foundation’s Salute to Kids. Moreno started quickly in game one, building an 8-1 lead just four minutes into the match behind a dominating serve-and-shoot game. Lenning cut the deficit to 7-9 with a six-point unanswered streak of aces and first-strike kills, but Moreno quickly ran out the first game with six consecutive points, looking every bit like the player who has won a record nine WPH Race 4 Eight titles. Game two started much like game one, with Moreno dominating play with ace serves to the right and left. Through the first game and a half, no rally had extended beyond seven shots. 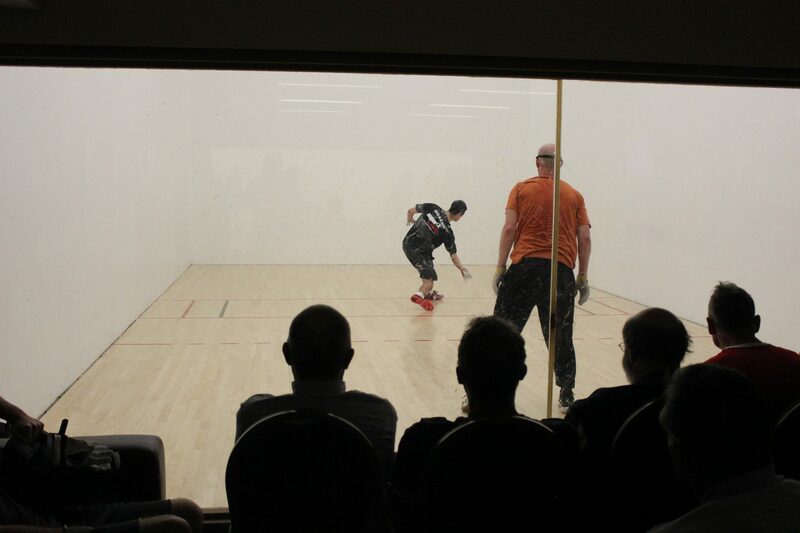 Moreno stood just four points from winning the match at 11-7, but Lenning found the spark that seemed to be missing in his game throughout the first game and a half. Lenning scored five quick points and took his first lead of the match at 12-11. Lenning extended his lead to 13-11 before Moreno earned the side out with a brilliant rekill. Moreno killed a left-handed back wall setup that appeared to earn him the 12th point, but a broken ball negated the one-inch high mouse. Undeterred, Moreno served two aces down the right with the new ball before Lenning tried to halt the momentum with a timeout. Moreno stunned Lenning with a laser ace serve down the left to score the 14th point, and ended the match with a serve-and-shoot kill, claiming the No Frills 15-7, 15-13. 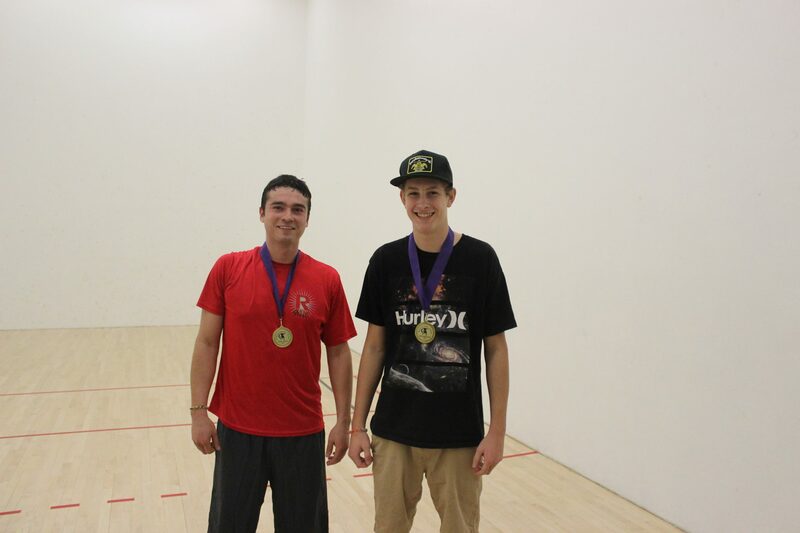 Thank you to Luis Moreno and Sean Lenning for playing in the event and putting on an amazing exhibition of pro handball, Tanner Cleveland for refereeing the final and winning the WPH No Frills Sportsmanship Award, Doug Clark, Jeff Healam, Art Benitez, Charlie Wicker, Matt Goode, Scott Cleveland, Larry Lenning, Khalsa, and so many more who donated to the tournament. All of the proceeds from the No Frills will go towards Junior WPH and inspiring the next generation of handball players. Junior WPH hosted over 600 junior handball clinics in 2014 and aims to surpass that number in 2015.